﻿ Llama Juice's Stages thread. Bowser's Castle and HD Peach's Castle Released! Kitty Corp Meow Mix Forums | Super Smash Bros. Brawl Hacking | Stages | Llama Juice's Stages thread. Bowser's Castle and HD Peach's Castle Released! Re: Llama Juice's Stage(s) thread. Metal Cavern HD stage released! Oh, so you're the one who made this stage! It's beautiful, and a wonderfully pleasant surprise tribute to Super Mario 64 as well. Great job! without the rel, it goes over final destination (i compared the rel pack sizes to the one included, then tested). I'm hoping for more stages coming from you. There's more on the way, no worries. Trying to overcome some technical difficulties to bring a new stage that's going to blow the pants off of the community. I'm really excited, but I can't really say anything more than that about it. Stay tuned! EDIT: Here's a video showing off the stage as well, courtesy M22K. it is indeed amazing. one of the better stages in my build. What's up guys? 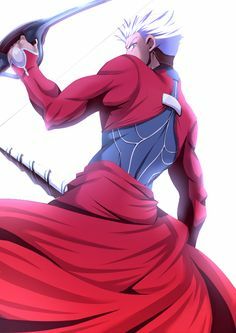 I'm still active! I've been super busy behind the scenes and trying to bring the best content I can to Project M and Brawl modding in general. I have two releases for you guys today that's already packaged into Project M 3.6 (beta). I hope you guys enjoy! The king of the koopas finally has his own stomping grounds! We designed this to be a casual stage that's still fun in a competitive environment. Well over 500 hours were poured into creating this and I'm extremely proud to finally be able to release it publicly to you all. Re: Llama Juice's Stages thread. Bowser's Castle and HD Peach's Castle Released! Hello Jesus. These stages are still gorgeous, and the references are genius. Really REALLY good work here. I'm definitely excited to see what else you'll release, not just PM-exclusive stuff but public work as well. Cheers. 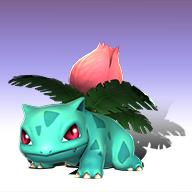 On the subject of non PM work and your avatar, I would be 100% okay with you creating that much asked-for Ivysaur alt people have been clamoring for. Whatever you come up with would be more than acceptable, I'm sure. I'm so very much not a character artist that it makes me sad at times. Character art and environment art use the same tools, but the way that you execute things is so vastly different that I'm just awful at it. I doubt you'll be seeing any character alts from me sadly. We do have a handful of wonderful character artists though and I'm always hype to see what they're up to. We don't have many environment artists though, (I'm the only dedicated environment artist) so there will be plenty of stage love from me!